Today, we have The Wild Rose Press author Peggy Jaeger sharing the rich and varied experiences of her first act and her emerging second act. When I discovered Joanne’s SECOND ACTS blog, I felt like I’d walked into a virtual room decorated just for me. Reading through the entries of the wonderful and artistic women she’d spotlighted made me a little nervous about what I could add to this glorious mix of wisdom, guts, tenacity and talent. For days I thought about what I should write. What could I possibly impart to the readers and writers to inspire them during the next phase of their lives – be it a writing life or one in general. It came to me – like many ideas do – in a dream. A little backstory about my Act 1, first. I was an only child of divorced parents who didn’t like being on the same planet together, much less in the same room. They split when I was an infant. Like many children of divorce, I shrouded myself from hurt with a very busy fantasy life. When the harsh reality of my divorced world became too much to deal with, I would slip into my room and write. And write and write and write. Pure escapism and very cheap therapy. My adolescence wasn’t much better. I was obese, shy, the class “brain,” and teacher’s pet. My one way of avoiding a trip to the dark side of teenage angst? Writing. In college I found my voice, my love of caring for people, and my true self. I worked for several years as a Nurse and was lucky enough to incorporate my profession into my writing life. I had many nursing articles published in professional trade magazines. I completed my Master’s Degree in Nursing, got married, had a kid and continued to write everyday I could. I like to joke that during my 30’s and 40’s I was a wife, mother, nurse, cook, chauffeur, nanny, contact lens technician and business owner. And most of all, writer. While banging out the magazine articles on motherhood, empty nest syndrome and ophthalmic care, I was also secretly writing fiction. I say secretly because I never – ever – showed those works to anyone, including my husband. Fiction writing – particularly romantic fiction – was my secret candy stash: my one guilty pleasure. Since I’d read my fist Nora Roberts book I’d had a secret ambition to be a romance novelist. I was twenty at the time when I penned my first romance story. Suffice it to say it was awful and leave it there. But I never gave up on my dream to write romance and have it published. So enough backstory. Here’s the present day 411. When I was deciding what to write for this posting I had a dream about a phrase I developed during a particularly rough patch of my life. I used to repeat the phrase numerous times during the day just to keep me sane and focused. That phrase I laughingly call THE TAO OF NGU NGI (pronounced na-goo na-guy). It stands for Never Give Up, Never Give In. When all looked bleak and times were shaky, the Tao pushed me through to the other side and helped me come out stronger, more able, and a victor. As I enter this next phase of my life there are many changes coming. Fast! I retire in April from a job I have held for over 15 years. I will be having 2 books published in 2015 by the Wild Rose Press and have 3 more in line for the continuation of the series, and three more in development. I will be eligible to get an AARP card ( if I want one). All because I vowed to never give up on my dream of being a published author, and to never give in to all the voices and advice of people who told me at various times that I was : too old, not a good enough writer, too verbose, writing popular pap and not real literature, and ( my favorite) no one wanted to read a romance by a woman over the age of 50. God puts dreams in our hearts for a reason. It is our duty and responsibility to see that those dreams come to fruition. One of my favorite quotes is “every set back is a set-up for something new and exciting.” Don’t give up on your dreams. Ever. Practice the Tao of NGU NGI and doors and opportunities will open for you. My best advice to anyone pursing a dream is just this: never give up on it. It may take 5 minutes, 5 years, or a generation to fulfill, but I truly feel you are never too old, and no dream is ever too big, to pursue. I know this firsthand.Figure skater Tiffany Lennox is busy with rehearsals for an upcoming ice show when the only man she’s ever loved comes home after a two-year overseas stint. She needs him to see her for the woman she’s become and not the child he knew to ensure he stays home, this time, for good. With her. I know this firsthand.For all his wanderlust and hunger for professional success, Cole Greer comes home wanting nothing more than to rest, relax and recover. He is delighted in being Tiffany’s hero and has a special place in his heart reserved for her. But faced with the oh-so-desirable woman she’s become, he starts questioning his determination to keep their relationship platonic. I know this firsthand.When forced by the television network to go back on assignment, Cole – for the first time in his life – is torn between his career and his heart. Peggy Jaeger’s love of writing began in the third grade when she won her first writing contest with a short story titled THE CLOWN. After that, there was no stopping her. Throughout college and after she became a Registered Nurse, she had several Nursing Journal articles published, in addition to many mystery short stories in Literary Magazines. When her daughter was born, Peggy had an article titled THE VOICES OF ANGELS published and reprinted in several parenting magazines, detailing the birth and the accident that almost turned this wonderful event into a tragedy. She had two children’s books published in 1995 titled THE KINDNESS TALES and EMILY AND THE EASTER EGGS, which was illustrated by her artist Mother-in-Law. While her daughter grew, Peggy would write age appropriate stories for her to read along with, and finally, to read on her own. Her YA stories are usually mysteries involving smart and funny 12-13 year old girls and an unusual collection of friends and relatives. They all take place in the 1980’s. In 2005 she was thrilled to have an article on motherhood placed in the CHICKEN SOUP FOR VERY MOTHER’S SOUL edition. She has won several awards in various Writer’s Digest short story and personal article categories over the years. Recently, she has placed first in the Dixie Kane 2013 Memorial Contest in the Short/Long Contemporary romance Category, and in the Single Title Contemporary Category, and third place in the ICO Romance Contest for 2013. 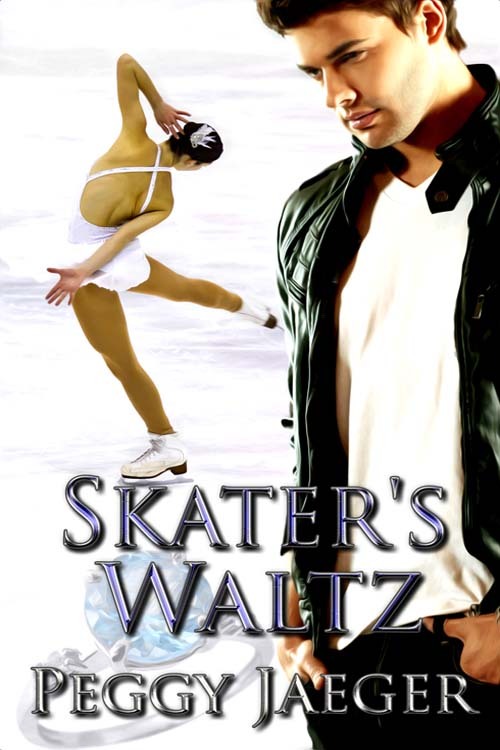 Her first romance novel, SKATER’S WALTZ will be released on March 4, 2015 from the Wild Rose Press. Peggy, thanks for sharing your inspiring journey. You are an excellent role model for reinvention (at any age). BTW…I have decided to embrace NGU NGI as my mantra. This entry was posted in Guest Blogging, Inspiration, Second Acts and tagged Joanne Guidoccio, Peggy Jaegar, Skater's Waltz. Bookmark the permalink. What a lovely story Peggy, thanks! Saskia – thanks so much for stopping by. The story was fun to write and I hope it fun for the reader as well. 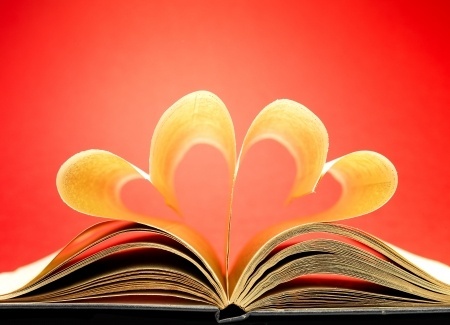 Wonderful post Peggy – we are honored to have you as one of our authors. Oh My Goodness! from the boss lady herself! Thanks so much for the opportunity to write for The WIld Rose Press. And truly – I am the one who’s honored. Great inspirational piece and a great mantra to live by, Peggy. Wishing all your dreams come true!! 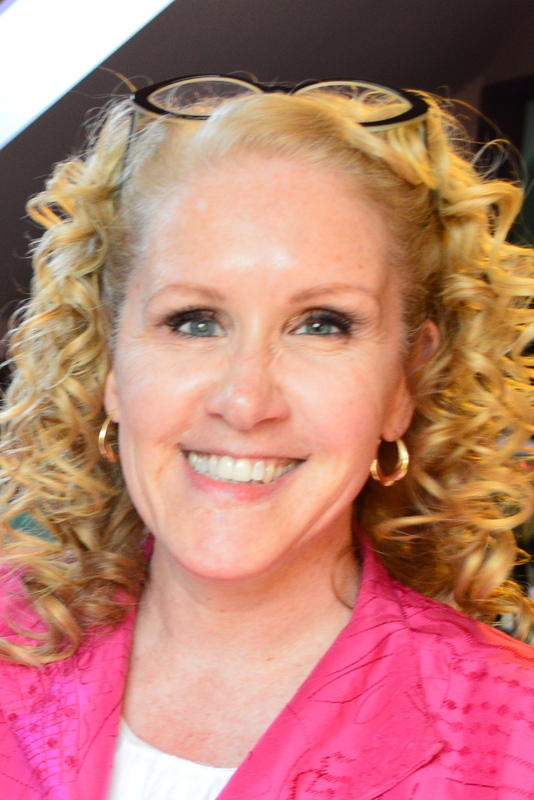 Donna – you know you are a HUGE part of all these dreams coming true! Fromthe bottom of my heart, and always, THANK YOU! This is an incredibly inspiring piece. I only hope I remember that Tao of NGU NGI in my darker moments. Thanks for posting this. I came from divorced parents too and you need something to get you through. Glad you found writing. Congrats on your series and good luck. Larry- there are more of us divorced kids out there than I like to think. I wish they all had something powerful to help them get through the inevitable tough times. Lovely inspirational story. Thank you, Peggy. Like Joanne, I’m borrowing your mantra! June – don’t borrow it – MAKE IT YOUR OWN! Peggy I really enjoyed reading your story. I love the encouragement to never give up. I am halfway there with all my dreams and so I will keep going. I wish you every success with your books. Being a nurse you would know plenty about the human spirit. Dreams become reality every day! If you get up every morning and realize that then ours will come true. Love your rough patch phrase and it’s English translation, good luck with the book, I love Nora Roberts too. Isn’t she just the best?!! Whenever I find an oldie of hers popping up for reissue I jut have to have it. Even tho I’ve read all her works several times, she still inspires.